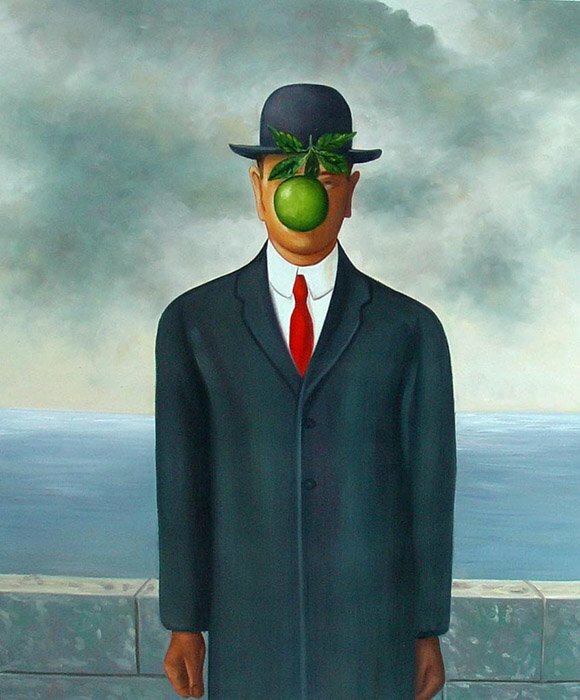 To vary a theme of René Magritte, while this looks like a review, it is really something else. With nearly 40 years’ involvement in running Dinosaur Annex, and being married to one of its core players, this reviewer can’t expect enough credulity from BMInt’s readership to pretend to an objective assessment of the music or performances that were presented at the ensemble’s Friday concert; so what follows describes what happened rather evaluating of how it went. That disclaimer out of the way, the title of the show, “RetroChic,” was a pretty accurate description, in more ways than even the current management knew (Hubert Ho made his debut as co-Artistic Director of the ensemble, along with veteran Sue-Ellen Hershman-Tcherepnin). The venue for this outing, their first of the season, is an intimate space in Union Square, Somerville, now called Third Life Studio; but once upon a time, including the late 1970s, the site was home to a place called Wallpaper World, and at that place Dinosaur Annex performed, amid the paste cans, in its early days. We’re told that the pegboards on the wall are the originals. The linoleum on the floor, while not original, is a pattern that many in the room acknowledged to be one familiar to them from childhood. So, retro indeed. The title was intended, of course, to refer to the program, which combined current work by, as it happens, the current and two immediately preceding co-Artistic Directors, with music from the ensemble’s early days that was written for its signature sub-ensemble of three clarinets (more precisely, three clarinetists, who between them managed to field eight instruments), and two of whom, Diane Heffner and Katherine Matasy, were original performers of the works in question. The juxtaposition proved to be a clear indication of the differences between the compositional preoccupations of “new new” music and “old new” music. In the former category were Emily Koh’s synpunkt (2013) for flute/piccolo (Hershman-Tcherepnin), clarinet/bass clarinet (Matasy) and percussion (Robert Schulz), Ho’s Injection Refraction No. 3 (2013) for piano (Donald Berman) and Yu-Hui Chang’s In Thin Air (2012) for violin (Omar Chen Guey), piano (Berman) and percussion (Schulz). Koh’s interest lies in pointillist statements and sonorities that grow ever so slightly into perceptible motifs, and synpunkt generally follows that pattern. The title is an actual Swedish word for point of view, but it carries to Anglophone ears a suggestion of coming together, taking “syn” as a common prefix. To somewhat similar effect, Ho’s work features the piano in permanent sostenuto mode (the pedal was propped so Berman never had to touch it), with sharp attacks allowed therefore to reverberate, as the musical statements themselves became more linear. Chang has long been a devotee of subtle, colorful percussion sounds, and In Thin Air manages to treat all the instruments as percussive (lots of picante spiccato bowing on the violin, for example), though the piano and violin do have expressive moments of almost Debussyan reverie and lyrical keening, respectively. This piece was in three movements, which should have been indicated in the program. It should be evident from the foregoing description that these newer pieces are above all focused on the sounds that the instruments make or can be made to make, at least as much as on the actual pitches they play. This influence, stated or not, of spectralism, is what separates them from the work of the 1980s presented on Friday: William Thomas McKinley’s Paintings No. 8 (1986) for three clarinets (as noted, really eight, with various doublings among B-flat, A, E-flat and bass clarinets) and percussion, with clarinetist Steven Jackson joining Heffner and Matasy; Lyle Davidson’s Furies of Complexity (1981) for mezzo-soprano (Jennifer Ashe) and the clarinet choir; and Scott Wheeler’s Fantasy Dances (1984) for just the clarinets. This latter grouping of works, while not devoid of sensual appreciation for the chocolaty tones of the clarinets and other instruments, is much more focused on the notes themselves, in the traditional musical manner. Another historical digression: Not many chamber groups feature three clarinets in their core ensemble. Classic-period Dinosaur’s distinct sound derived from its having been constituted around the Schoenberg Suite, op. 29, for clarinets, string trio and piano, rather than the more commonly encountered “Pierrot” ensemble (flute, clarinet and piano trio). The McKinley, in four movements, was the most elaborate of the three older works. It represented, to greater or lesser (mostly lesser) degrees, his confrontation with minimalism, with a single motif underpinning its entirety and often either presenting or accompanying it with aggressive ostinato repetitions. The sonic conceits were (a) to make the movements progress from the lowest clarinet sounds (thus, the first movement has two bass clarinets and one B-flat) to the highest (the final movement has two soprano E-flat clarinets and one B-flat), and (b) to furnish each movement with a different pitched percussion instrument (vibraphone, marimba, chimes, xylophone). The music also reflects McKinley’s background as a sometime jazz pianist. We here have to violate our pledge against evaluation to say that Davidson’s piece, setting three stanzas of W. B. Yeats’s poem “Byzantium,” is an unqualified masterpiece that should be performed much more often. The Wheeler (he was a co-founder of Dinosaur Annex and for many years was either co- or sole Artistic Director) combined some insouciant tunefulness with the kind of in-and-out-of-focus harmonizations that were favorite techniques of his teacher Virgil Thomson. Any organization dedicated to “contemporary” art forms must of needs change as the concerns of the underlying art do. The audience for RetroChic (which included all the composers but for the late McKinley, who was represented by his widow and composer son Elliott) got a pointed illustration of just how that works.